Cottonwood Creek is a residential neighborhood located in the far northwest portion of Richardson, TX in the 75080 zip code. It’s situated in the northwest corner of Campbell and N Floyd Rd and is just east of the University of Texas Dallas campus and just west of the neighborhood called Canyon Creek and the Canyon Creek Country Club. The Canyon Creek Country Club and Golf Course is managed Club Corp which is a leader in private country clubs all over Texas. 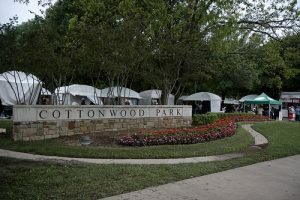 The neighborhood includes a park called Cottonwood Park but it doesn’t currently have a home owners association. Canyon Creek is served by the (PISD) Plano Independent School District You can find more information about the schools, neighborhood and country club with the links below.